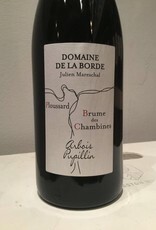 A light red made from 30 years old vines of Ploussard on red marl soils. Hand harvested grapes, a semi-carbonic maceration for 20 days followed by aging in steel for 10 months. No sulfur is added to this wine and no filtering is undertaken. Natural Jura at a remarkable price point. 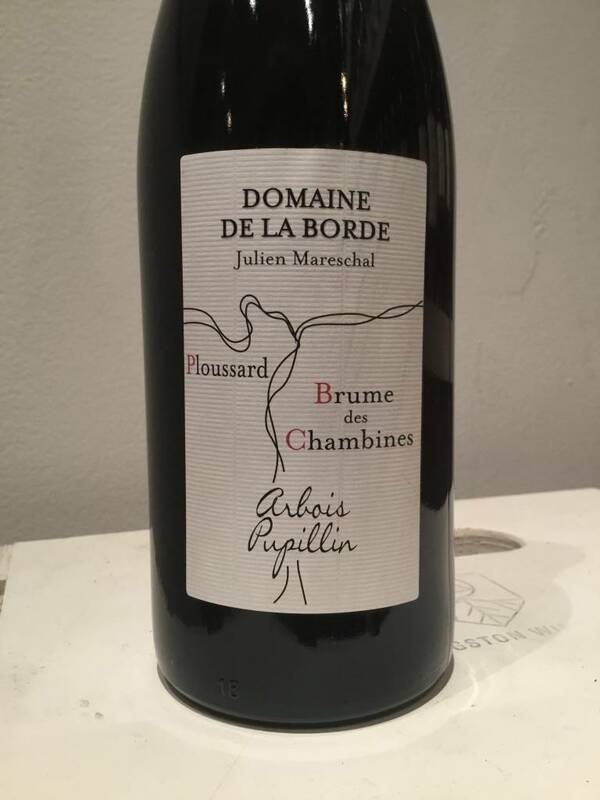 "Julien Mareschal, like several of the young vignerons in the Jura, was not born into a vine-owning family. In Julien’s case, he came to the Jura at the age of 23, from an agricultural family, after studying agronomy and then oenology at Dijon. He now has 5 hectares of vines in and around Pupillin, some at the highest elevations (550 meters) and all his vines are organic or in conversion to biodynamic. His Ploussard is made without the addition of any sulfites; other cuvees have only tiny amounts added at bottling. Only indigenous yeasts are used in the fermentations for all of his wines."